Packed-snow hike in the ski area between Alpe des Chaux (Combe du Scex) Sodoleuvre and Les Frasses. 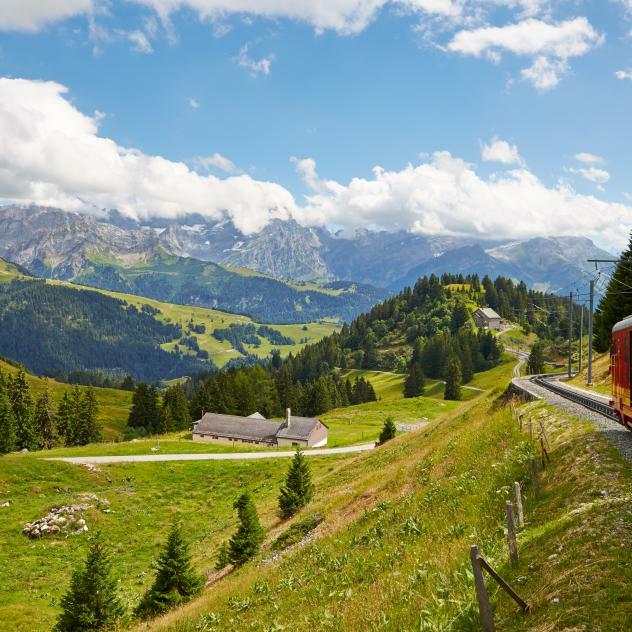 Intermediate-level hike, partially forested and scenic, in the ski area of Les Chaux, offering spectacular views of the Rhone Valley and the Dents du midi. From Combe du Scex (Alpe des Chaux), ascend 100 m through the forest then descent along the ski run to your left. Shortly before Croix de Gryon, cross the ski run with caution, then follow the trail to Restaurant l'Etable. Descend below the restaurant, then continue left along the ski run to Les Frasses. From Les Frasses, you can continue to Barboleuse along the road or turn back. This hike can also be done in the opposite direction. 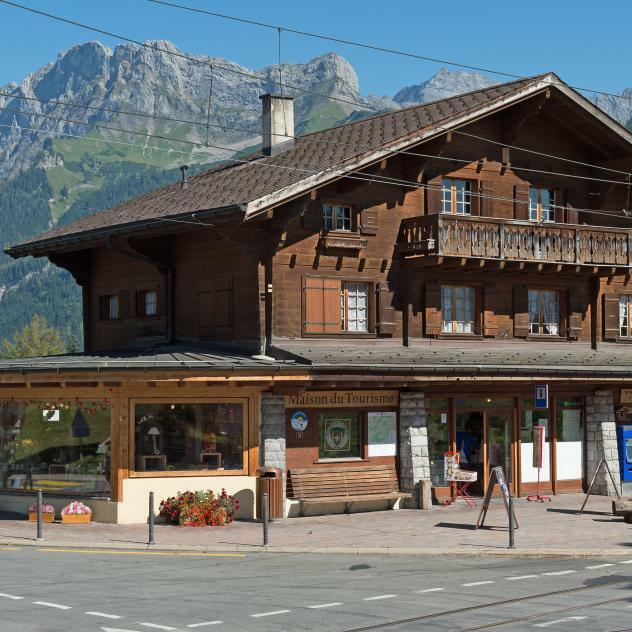 Free parking lot to Barboleuse and possibility of returning since Villars with the train BVB. 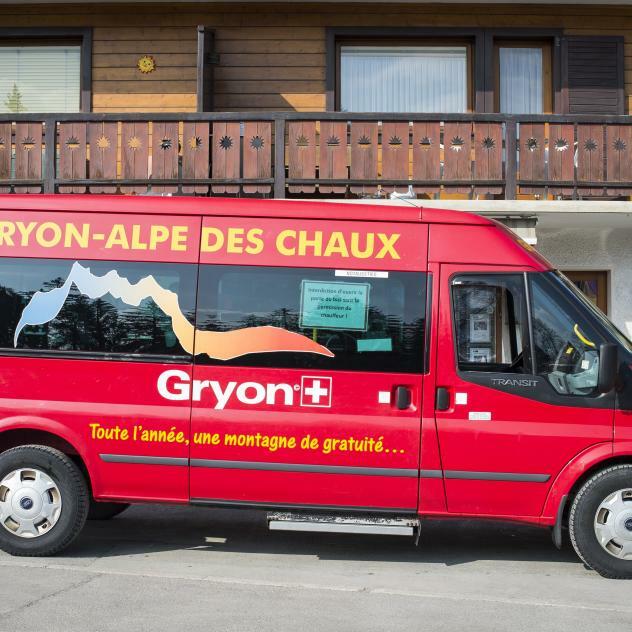 Access to the "Combe du Scex" with the bus shuttle Gryon or by car (free parking lot in the center of the "Alpe des Chaux" or Frience, then continue the road by rising until its terminus). 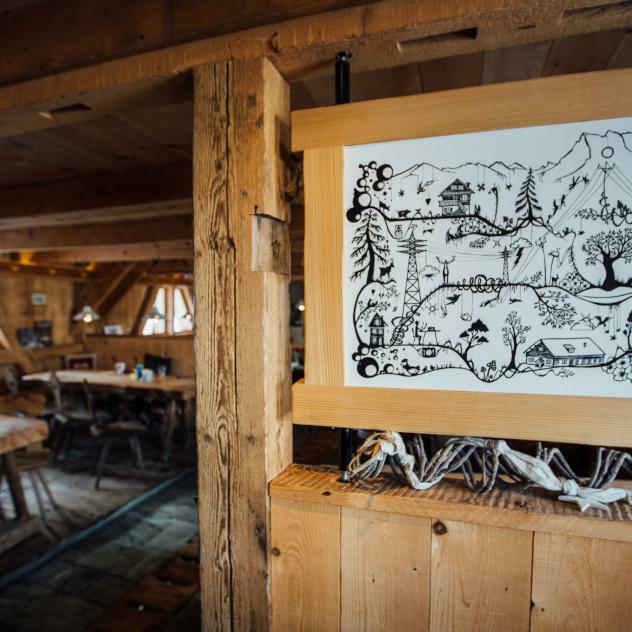 The atypical restaurant L’Etable is ideally located in the Villars-Gryon-Les Diablerets ski area. Its name was not chosen at random because guests are seated in beautifully transformed stables to enjoy variations of terroir dishes.